Singaporean Parents’ Spurn Neighbourhood Schools? Singaporean parents have been accused of choosing “branded” schools over “neighbourhood schools” in last week’s Parliament session. Singapore Minister of State (Trade and Industry) Teo Ser Luck asked Education Minister Heng Swee Keat in the Parliament session how the Ministry of Education (MOE) intends to ‘get rid’ of the mindset that ‘neighbourhood schools’ are less desirable compared to ‘branded schools’. (Source: Straits Times – 8 March). 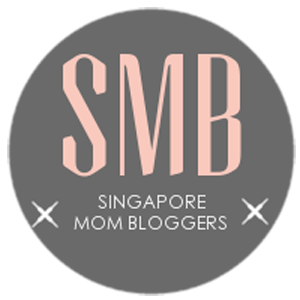 From a Singaporean parent perspective, it is not so much that the neighborhood schools are undesirable as that the branded schools are MORE desirable. When it comes to our children’s education, our top priority is the learning environment that a school, neighborhood or not, can provide. And parents worldwide will choose the school that can provide their children with the best possible education or opportunities in their future. Singaporean parents are no different. We would have enrolled our children into an International School as we believe that the learning journey is more fluid and well-rounded, encompassing the academics, athletics and social elements necessary to nurture a successful individual. However, the high cost of these schools deters us. Following that, my husband and I scouted our neighborhood for good schools to place our children in. Fortunately for us, we had several good ones in our neighborhood to choose from. Some were “branded” schools, while others were “neighborhood” schools. One was even a neighborhood school that became “branded”. The existing reputation of the school – based on the proven academic results of its existing and former students; the athletic or community achievements by the school; the association with a school of reputable higher learning – for example does it have an affiliation with a secondary school or junior college of good standing. The staff or teachers’ rapport with the students – how well do they relate with the students and vice-versa; whether the teachers can inspire the students or promote self-learning; are the staff experienced and accessible to the parents or students; are they equipped to handle the needs of the student body? The quality of the existing student body – Who are the students? Some parents are more comfortable if their off-spring are enrolled in a student body that possesses similar attributes to them. For example, Raffles Institution is known as a school for the sons of politicians; Anglo Chinese Boys School (ACS) is reputed for harboring the sons of businessmen. While other parents aspire to integrate their children into a certain social circle at a young age because let’s face it, it’s all about relationships and connections these days. Who your child’s friends are today may contribute to his/her career or social life in the future. WE decided on a “branded” school or Elite school, as you will. Our reasoning is simple. Why choose a regular school when an Ivy League school is an option to you? Having said that, entering an Ivy League or Elite school in Singapore is no mean feat. You have to be VERY lucky to get in or STRATEGIZE your way into one. Many parents move distances (in some cases, several times), volunteer volumes of their time (at the school or in grassroots associations) and scheme their way into an Elite school. We were lucky that our first child won a “ballot” and a place in an Elite school, thus paving the way for his sister. But we have decided to try our luck at yet another “branded” school for our second child as it has an affiliation to a reputable secondary school and later junior college. When it comes right down to choices between “Branded school” over “Neighbourhood School” for a Singaporean parent, the former will almost always win; on the simple premise that our society has been cultivated for generations on the Elitist belief that academic excellence is THE way to a “better life”. Mr. Heng may initiate a new cycle of thought process to change the mindset of the local parents, but it may be years before we see a paradigm shift. I think MOE will have an easier task ensuring that every school is a good school rather than trying to “collectively change the perception and mindset of parents”. Talking Point: Do Good PSLE Grades for Kids Matter?